Ha Thi is a bus company in Vietnam that primarily cover bus routes to the North of Vietnam, namely from Da Nang to Hanoi and vice versa. Da Nang and Hanoi are two places with a growing number of tourists each year. There are many exciting attractions to explore such as the museums, beaches and delicious cuisines to try. The travel duration by Ha Thi bus service can take around 14 to 18 hours, depending on the bus schedule and the traffic as well. Travelling with Ha Thi from Da Nang to Hanoi is a natural choice for passengers to make as it is the cheapest option. The long bus journey is comparable to a train ride from Da Nang to Hanoi, but the bus ticket price is certainly lower. Ha Thi overnight buses are a reliable option as there are not many bus services operating in bus routes from Hanoi to Da Nang. Budget travellers can save one night of staying in a hostel by boarding Ha Thi buses instead. Ha Thi runs a fleet of sleeper buses that are clean and well-maintained, so passengers are assured comfortable rides. Passengers are expected to have a relaxing journey with the 40 cosy beds available in each coach and they are fully air-conditioned. Complimentary mineral water is provided upon buying Ha Thi bus tickets as well. Ha Thi offers excellent comfort with high-quality bus service for all their customers onboard. 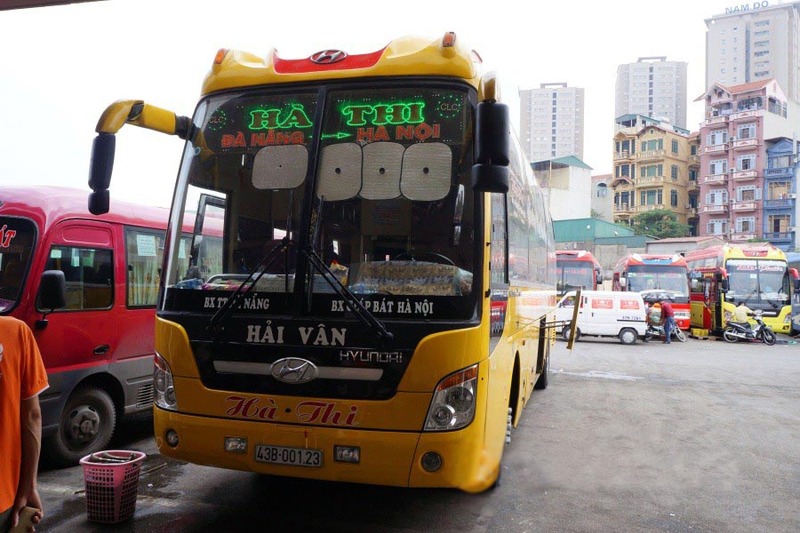 The most famous bus routes covered by Ha Thi is from Da Nang to Hanoi and vice versa. Ha Thi bus service offers bus ticket at an affordable rate to suit any travellers budget while getting the most out of the trip at the same time. Ha Thi provides excellent bus service that generally runs at full capacity. Through Easybook online booking platform, travellers can make the bus ticket reservations beforehand in just a matter of minutes. Further details such as bus schedule and ticket prices can be easily viewed in only a few clicks away. Start preparing your trip to have memorable travel experience in Vietnam by boarding Ha Thi!